Dr. Guy Rouleau was unanimously and enthusiastically reappointed for a second five-year term as Director of the MNI effective January 1, 2018. 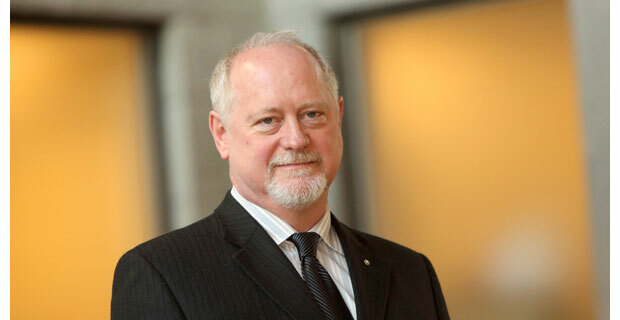 In reviewing his first term as Director, the Advisory Committee was particularly impressed by The Neuro’s increased research visibility and strong clinical contributions under Dr. Rouleau’s leadership, as well as by the quality of his research, and his fiscal management. The Committee also noted the high quality of recent recruitments, and the institute’s success in attracting new philanthropic funding. Dr. Rouleau is widely considered a pioneer in both research and clinical care, particularly in the areas of epilepsy, autism, amyotrophic lateral sclerosis (ALS) and schizophrenia. Highlights of his distinguished career include contributing to the identification of more than 20 disease-causing genes and his discovery of new mutational mechanisms. In 2016, he received the Prix de l’oeuvre scientifique from the Médecins francophones du Canada, and he became a fellow of the Royal Society of Canada. In 2014, he was awarded the Prix d’excellence by the Collège des médecins du Québec for his outstanding contributions to neurogenetics and medicine. His research has also earned him the Prix du Québec – Prix Wilder Penfield, the Henry Friesen Prize, and the Margolese Prize. Dr. Rouleau is an Officer of the Ordre national du Québec. 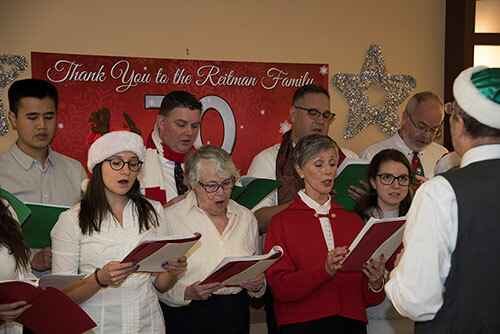 On December 12, several hundred faculty and staff of The Neuro gathered together at the 70th annual Reitman Holiday Luncheon. For the 70th consecutive year, the Reitman family generously provided a lunch buffet featuring smoked meat and fixings for The Neuro community. The Neuro Cosgrove Choir added to the festive atmosphere as colleagues took the rare opportunity to relax together. 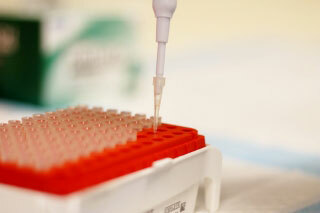 View photos on The Neuro Facebook page. A unique industry-academia partnership will increase the rate at which promising drug compounds can be tested as potential treatments for amyotrophic lateral sclerosis (ALS), a disease with no known cure that affects 200,000 people worldwide. 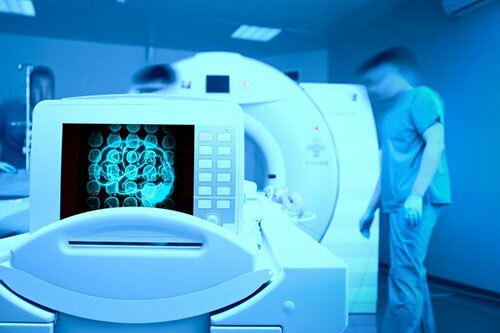 The partnership between The Neuro and Takeda Pharmaceutical Company Limited (Takeda) will allow compounds developed by Takeda scientists to be tested on cell lines produced at The Neuro. The Neuro was honoured to welcome representatives of The Molson Foundation to celebrate the opening of the new Molson Cellular Imaging Facility. An exemplary $2 million donation by the Foundation established this advanced in-house microscopy facility that will enable research into various neurological disorders, including ALS, Parkinson’s disease, Alzheimer’s disease, autism spectrum disorder, and epilepsy, among others. This latest donation from the Foundation is part of a long and proud history of supporting microscopy and molecular neuroscience at The Neuro. They previously established the Molson Pavilion for Molecular Medicine in 1994, which has since become an integral part of The Neuro’s activities. We are tremendously grateful to The Molson Foundation for their transformative and loyal support of neuroscience research and education at The Neuro. A new partnership between the Structural Genomics Consortium (SGC) and The Neuro will use a unique open science framework to help scientists discover new targets for drug development for neurological diseases. The partnership, called NeuroSGC, will initially focus on Parkinson’s disease and amyotrophic lateral sclerosis (ALS), two of the most common neurodegenerative diseases. Read more about this exciting new initiative. 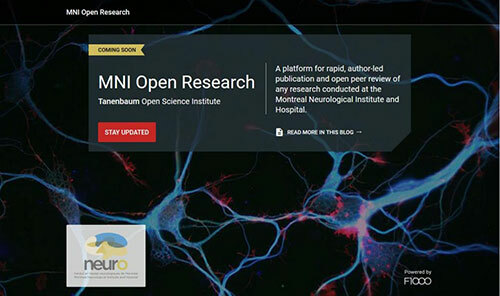 The MNI Open Research, a new platform whereon researchers from The Neuro can publish research outputs — ranging from standard research articles to negative findings — in support of The Neuro’s open science principles. Read now and check back often! The Neuro features prominently in a Tourism Montreal article that describes Montreal as a world leader in Neuroscience. With the largest number of research centres in the country, Montréal is Canada’s research and education capital, and neuroscience is in the top tier of local expertise. Québec is home to more than 800 neuroscience professionals — with over 240 active in the Montréal area alone — and 39 companies related to neuroscience, positioning the city as an international leader for development and innovation in the field.